KEY WEST, Fla.- Battle-tested Bahamian heavyweight Sherman “Tank” Williams (36-13-2, 19 KOs) is returning to Germany to spar three weeks with world heavyweight champion Wladimir Klitschko (61-3, 51 KOs) and then fight highly-touted New Zealand prospect “Explosive” Joseph Parker (7-0, 6 KOs) on April 26 in Oberhauser, Germany. Williams vs. Parker will be on undercard of a K2 Promotions-presented event, headlined by Klitschko’s IBF, WBO, WBA Super and IBO title defense against WBO No. 1 ranked mandatory challenger Alex “The Lionheart” Leapai (30-4-3, 24 KOs). The 5′ 11, 245-pound Williams serves as a perfect sparring partner for Klitschko, whose Apr. 26 opponent stands 6′ 0″ and weighs 245-pounds. Williams, who has fought twice before in Germany, losing decisions to Manuel Charr and former world champion Ruslan Chagaev, has sparred twice with Wladimir and six other times with Klitschko’s brother, recently retired world champion Vitali. “Based on their (Klitschko brothers) sizes, around 6′ 6″,” Williams explained, “I give them a contrast in style when they’re fighting much shorter guys. I’m aggressive and stay low, so they work on angles to throws shots. I try to slip and jab to get inside against taller opponents. Wladimir is a decent, intelligent, laidback type guy. Outside of the ring he’s reserved. As a fighter, he’s a good technician and hard worker in the gym. The 22-year-old Parker is 20 years Williams’ junior. He is a 6′ 4″, 230-pound Samoan who has fought only one opponent of note, an aging Frans Botha, who Parker stopped in the second round of their 2013 fight in New Zealand. 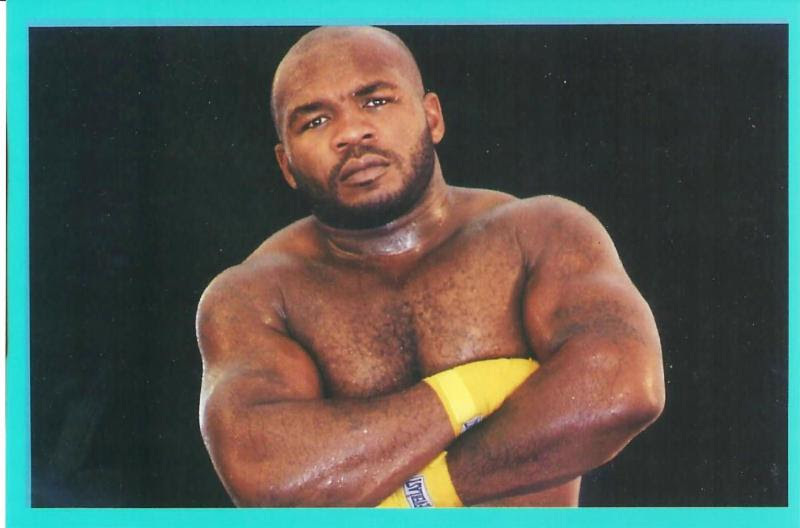 In addition to Charr and Chagaev, Williams has fought some of the best heavyweights in the world during the course of his 16 ½-year professional career, such as Evander Holyfield (NC3), Robert Helenius (LDEC10), Chauncy Welliver (WDEC12), Tye Fields (LDEC12), Taurus Sykes (LDEC10), Al Cole (WDEC10), Obed Sullivan (LDEC12), Jameel McCline (D10) and Robert Davis (LTKO5). In 292 rounds fought, Williams has been knockout only one time, by Davis. His relatively short stature in height, especially for a heavyweight, has been detrimental over the years in terms of him landing high profile fights “I’ve been in the gym since October but it isn’t easy for me to get fights,” Williams noted. “I had fights lined up with David Price and Tyson Fury; they wouldn’t fight me, saying I was too short. I guess they wouldn’t have fought Joe Frazier, Mike Tyson or David Tua.